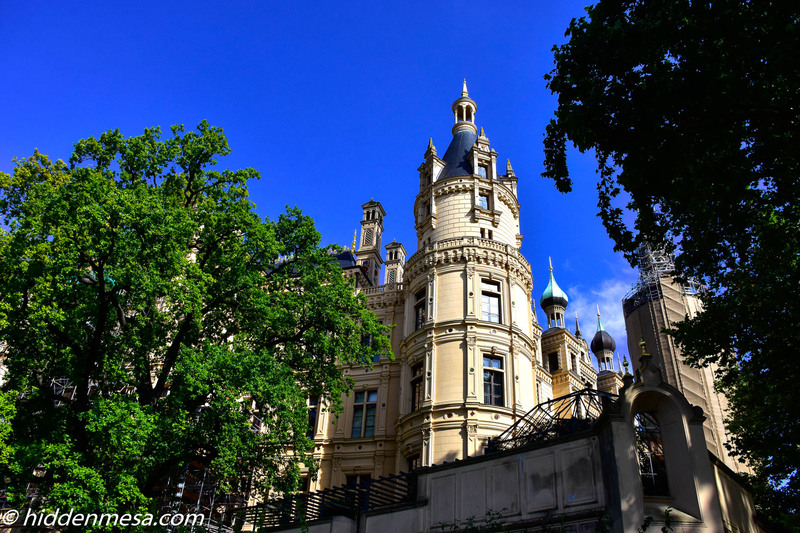 Like so many other buildings in Europe, Schwerin Palace has a rich and interesting history. While people have been living in the area for many thousands of years, the generally accepted year that the palace was established is 1160, when a famous medieval lord Henriech der Löwe (Henry the Lion), Duke of Bavaria and Saxony, conquered a group of Slavic tribes who had occupied the fortress of Schwerin since 960. 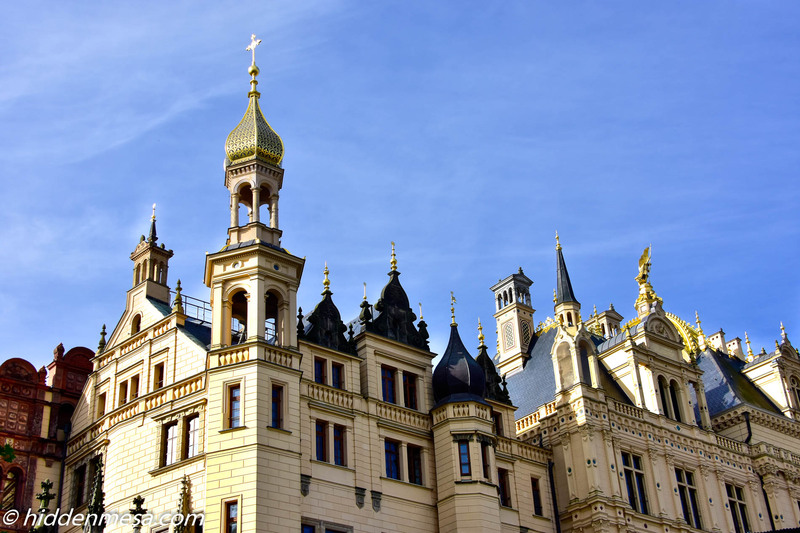 As it is, Schwerin is one of the last true residence palaces to be built in Germany. From 1945 through 1989 it was used as Mecklenburg’s parliamentary seat, an educational college, a museum of prehistory and early history, and a polytechnic museum. 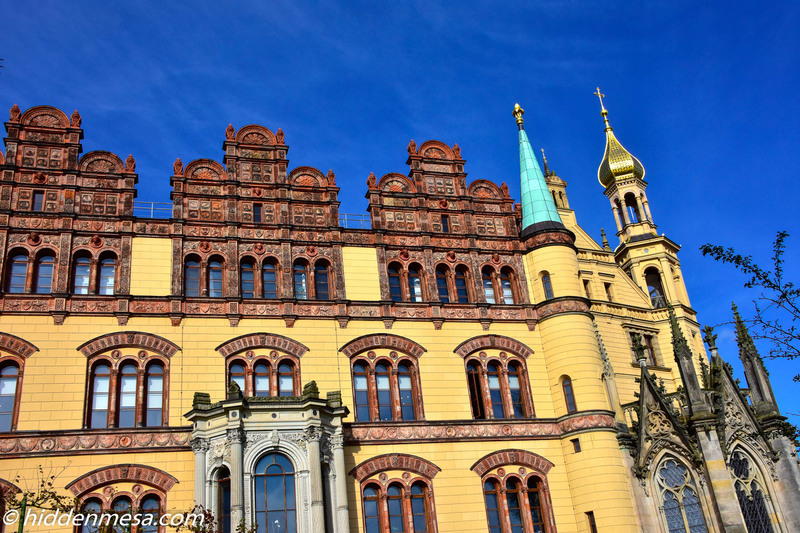 In 1990, after the reunification of East and West Germany, Schwerin Palace became the seat of the regional parliament of Mecklenburg-Western Pomerania, one of sixteen federal states in Germany. Extensive restoration work also began and continues to some extent today. 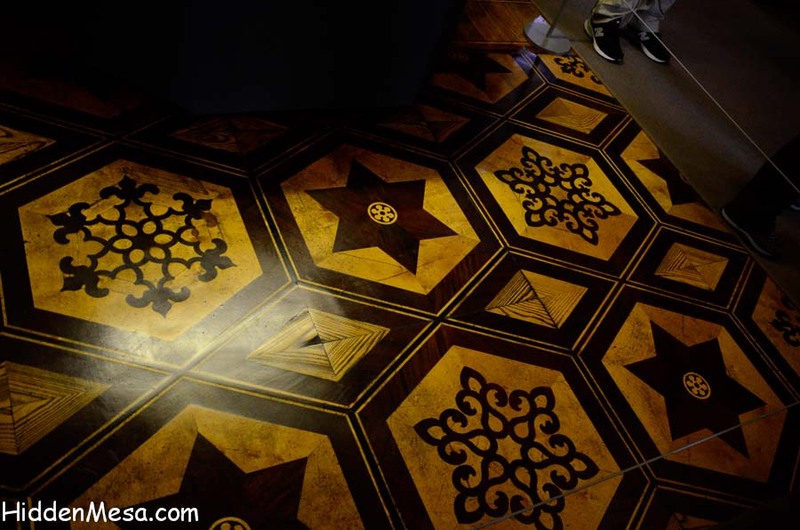 For us, as tourists, there’s a large area of the palace that’s open for tours. 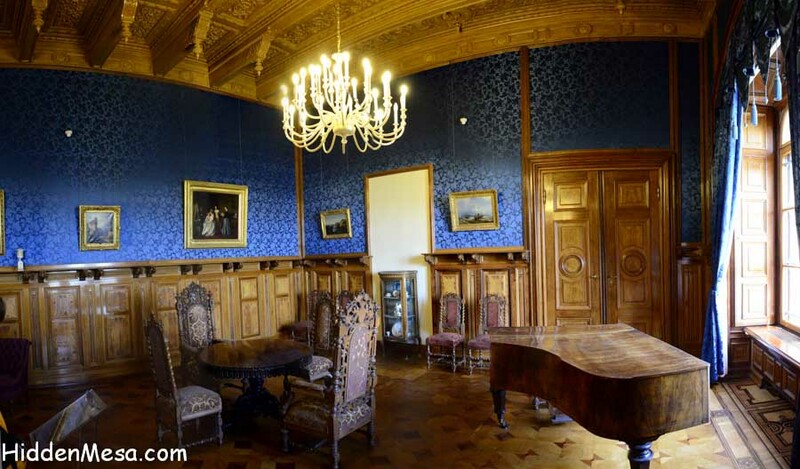 You can see re-created rooms as they probably were in the 15th century when royalty lived here. You can also see a regional parliament in action if they’re in session, but you’ll of course want to brush up on your German. The ghost of Schwerin Castle, named Petermännchen, is said to be no more than four feet tall. 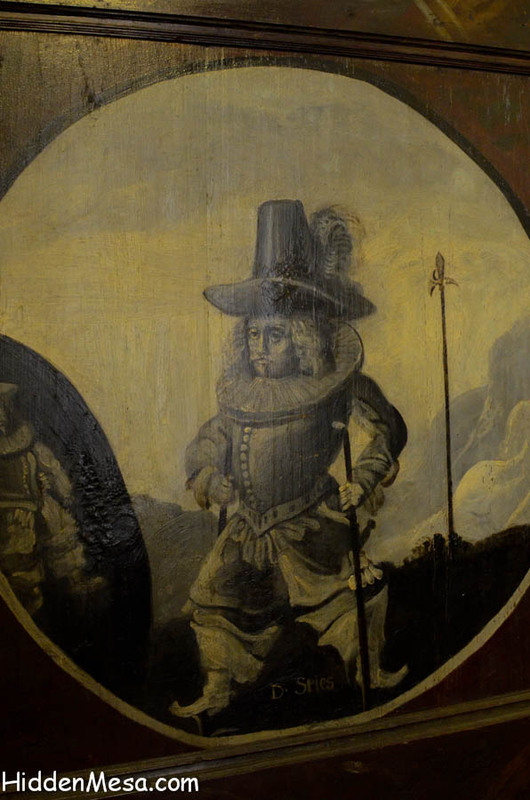 One legend says that this little guy is a spirit servant of a pagan god. When the pagan god was driven out of Schwerin by Christianity, Petermännchen remained behind, refusing to leave his post. 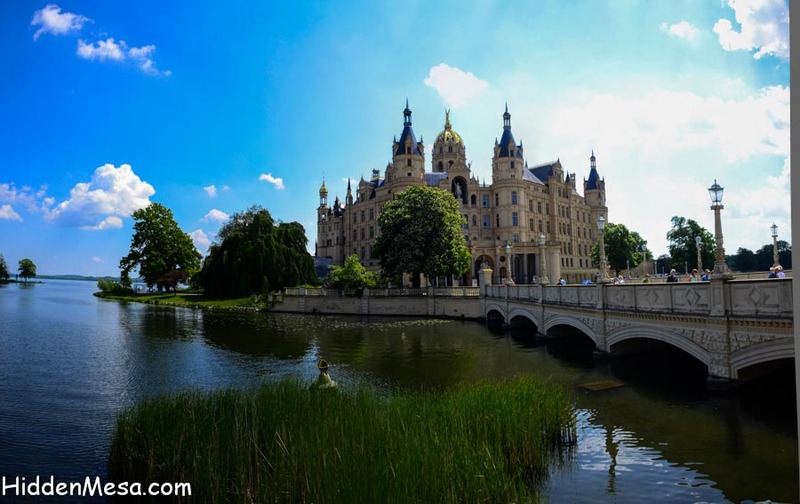 There’s a ghost at Schwerin Palace called Petermännchen, or, Little Peterman. This good-natured spirit is said to be only about four feet tall. There’s a statue of him at the Palace. He’s described in a couple of ways. One is that he’s occasionally seen wandering the vaults and tunnels under the castle. He carries keys, unlocking doors as he goes along. 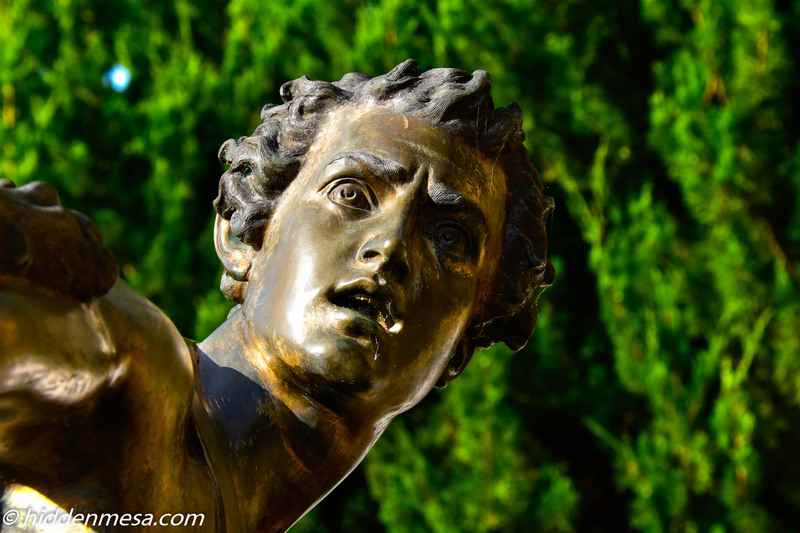 Another legend says that he patrols the grounds with a lantern and a small sword or dagger, guarding the Palace against thieves. He rewards good behavior and plays pranks and tricks on others. He makes banging noises at night, and has been known to awaken sleeping guards to keep them from being punished. 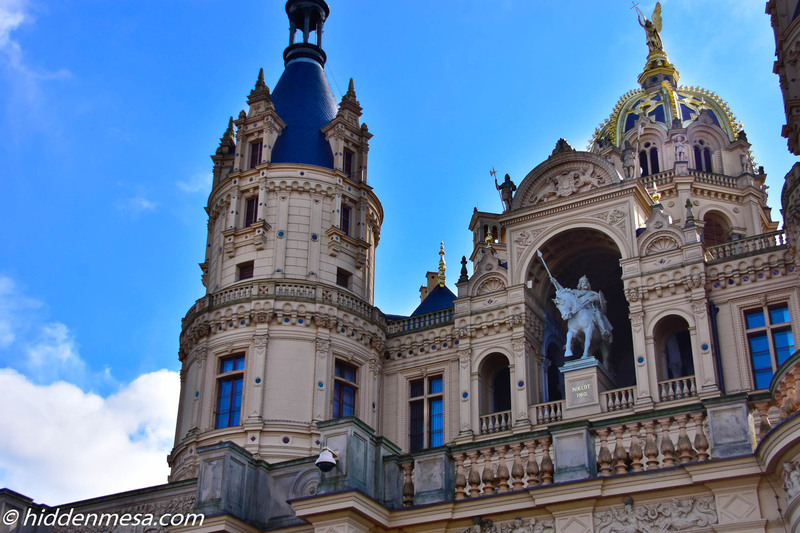 In our wanderings around Germany, we’ve now made two stops at Schwerin Palace. Below you can see some of the images we brought back. 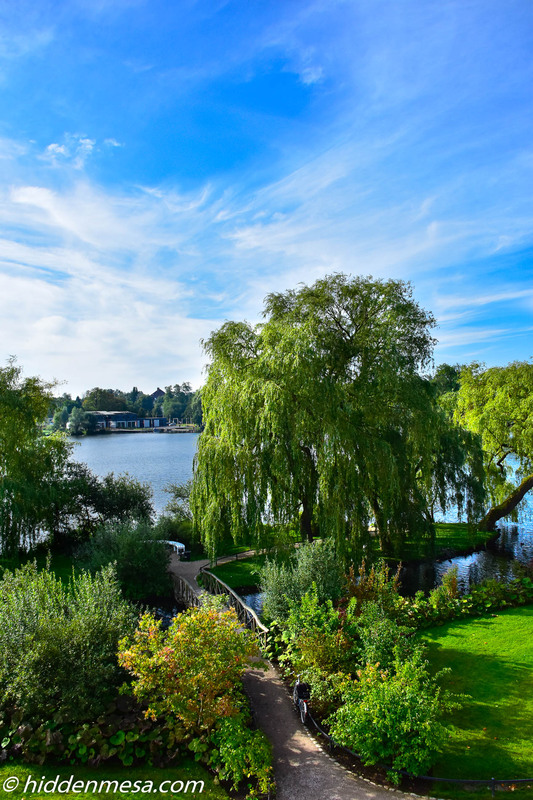 You can also see an article we recently posted about Schwerin here along with a post about our favorite hotel in Schwerin, the Weinhaus Uhle. Entrance to Schwerin Palace. Photo by Bonnie Fink. 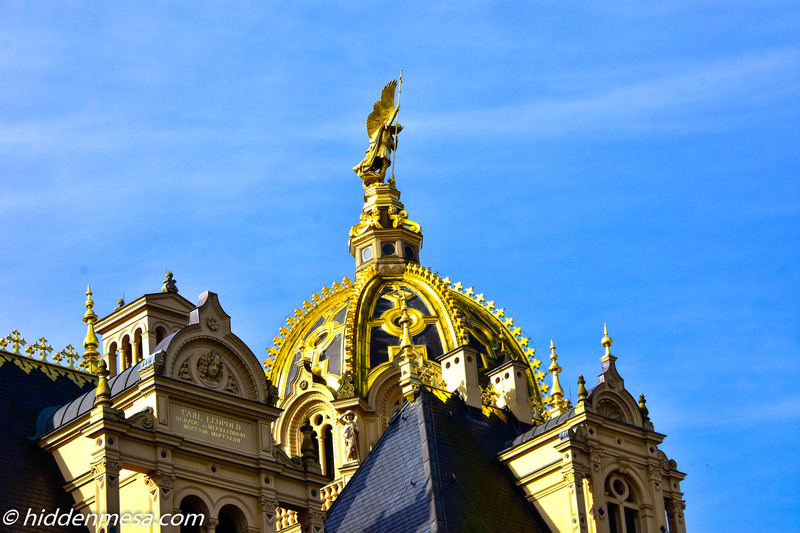 Roof line of Schwerin Palace. You will see several different archetucual styles on the roof line. photo by Bonnie Fink. Schwerin Palace Through The Trees. 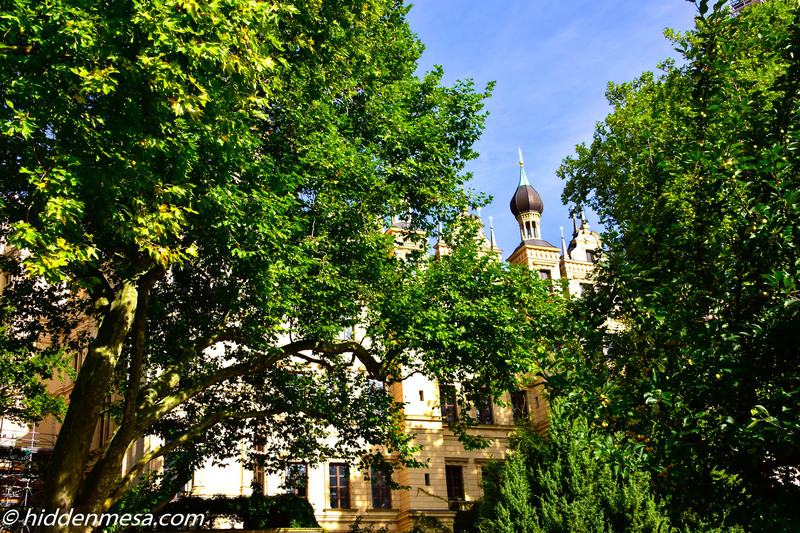 Schwerin Palace through the trees. Photo by Bonnie Fink. The Palace garden in front of the Orangery. 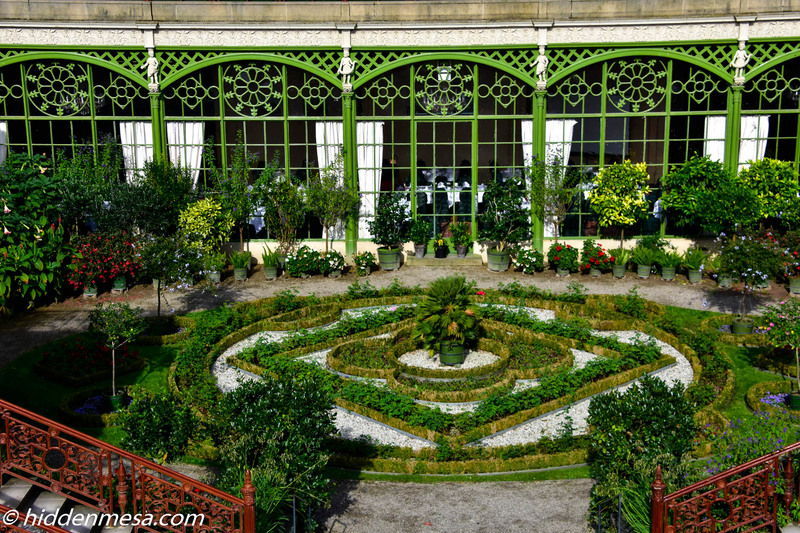 At one time the Orangery was a place to grow fruit trees. Today it's a very nice restaurant. Photo by Bonnie Fink. The Golden Dome dates between 1847 to 1857. Photo by Bonnie Fink. Side view of Schwerin Palace. Side view of Schwerin Palace. Photo by Bonnie Fink. Several of the Domes of Schwerin Palace. Photo by Bonnie Fink. 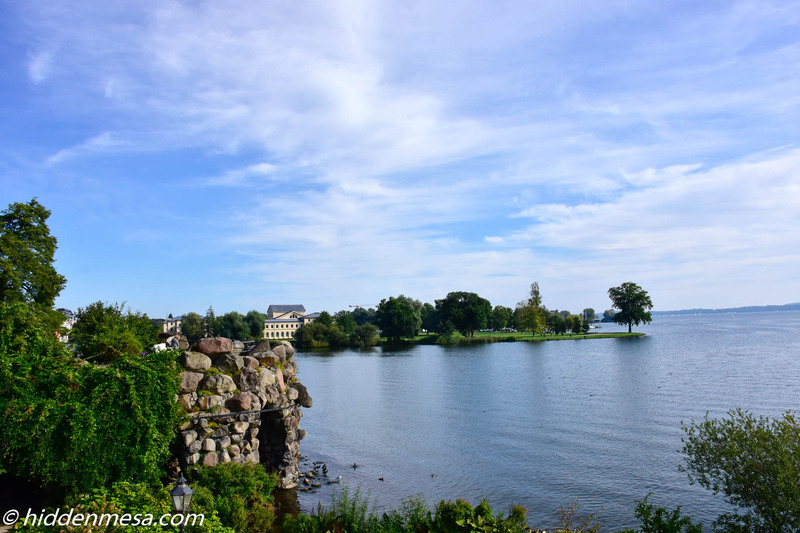 Lake Schwerin. Photo by Bonnie Fink. This is a sculpture of a shepherd being attacked by a panther. The expression on the face is unusually realistic. Photo by Donald Fink. 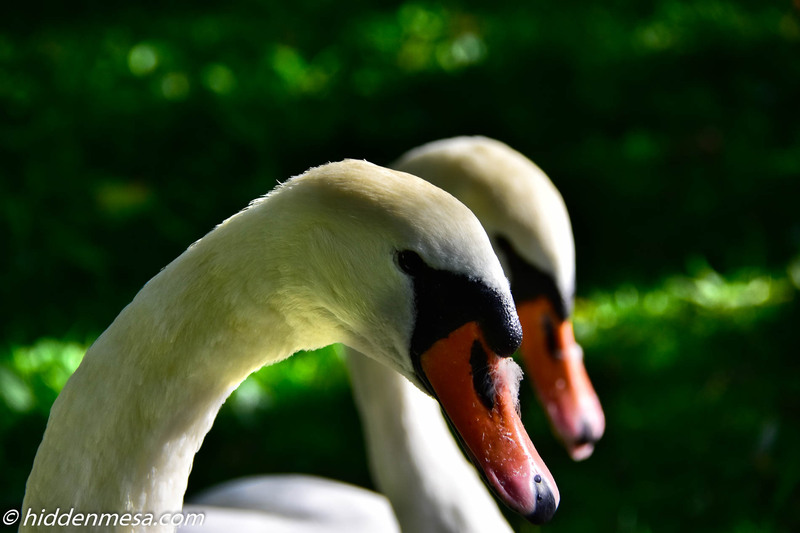 Two Swans. 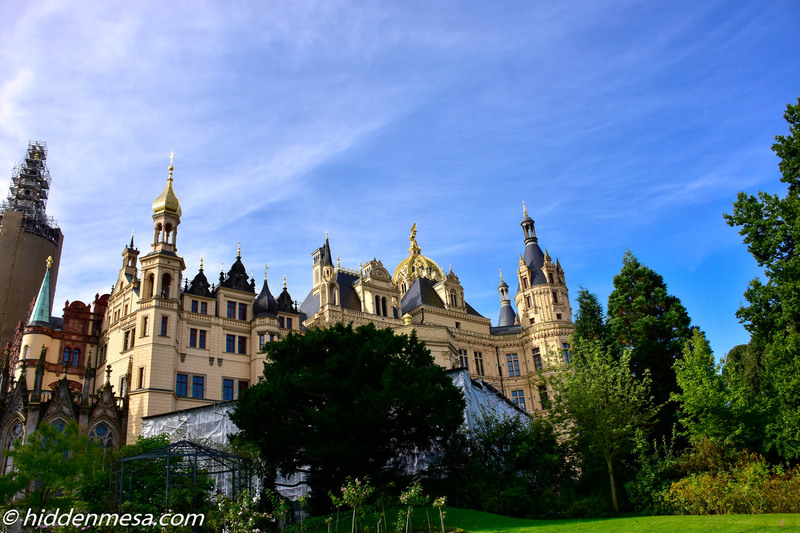 Schwerin Palace is a great place to bird watch, you will see swans, geese, mud hens, seagulls, and many other types of birds. Photo by Bonnie Fink. 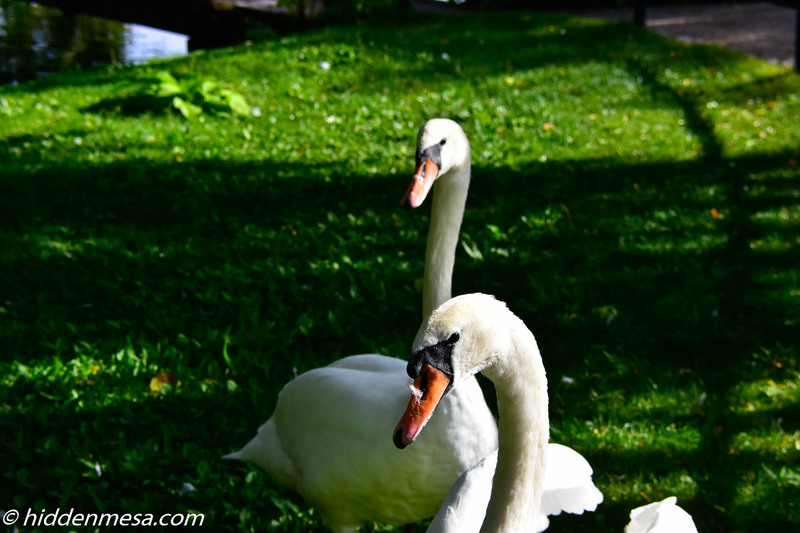 Two more Swans. Okay, probably the same two swans as before with a different pose. Photo by Bonnie Fink. 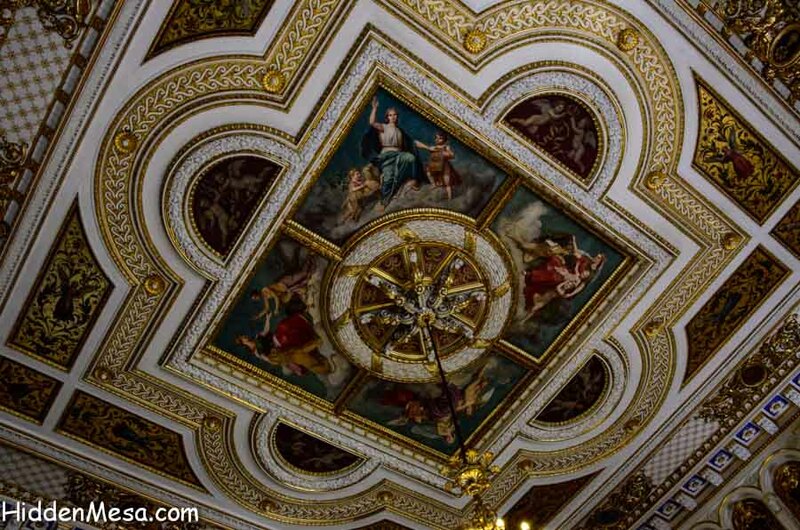 Everywhere you look you will find intricate details, including in the sculptures. Photo by Donald FInk. 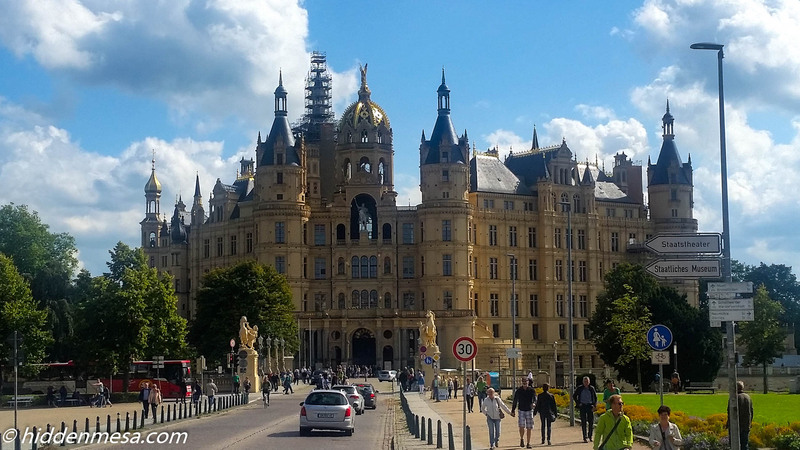 Schwerin Palace and the Golden Dome. The roofline of Schwerin Place is quite intricate. Photo by Bonnie FInk. 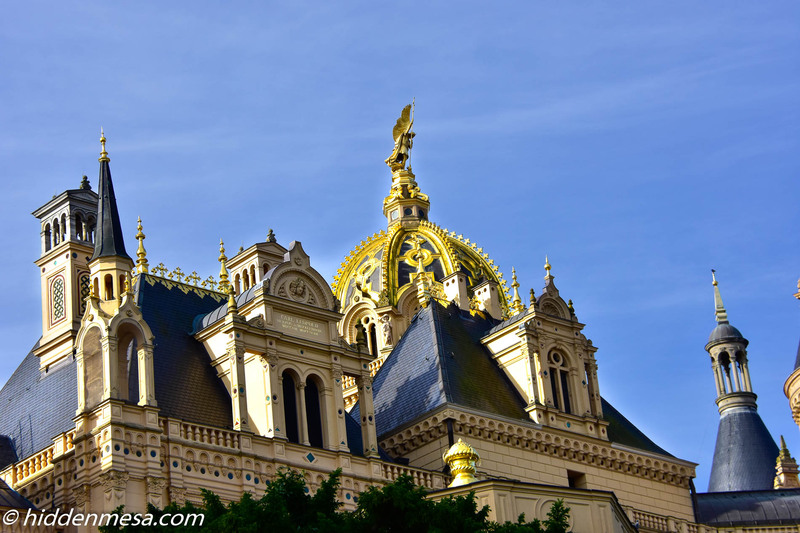 Closeup of the Golden Dome. Photo by Bonnie Fink. 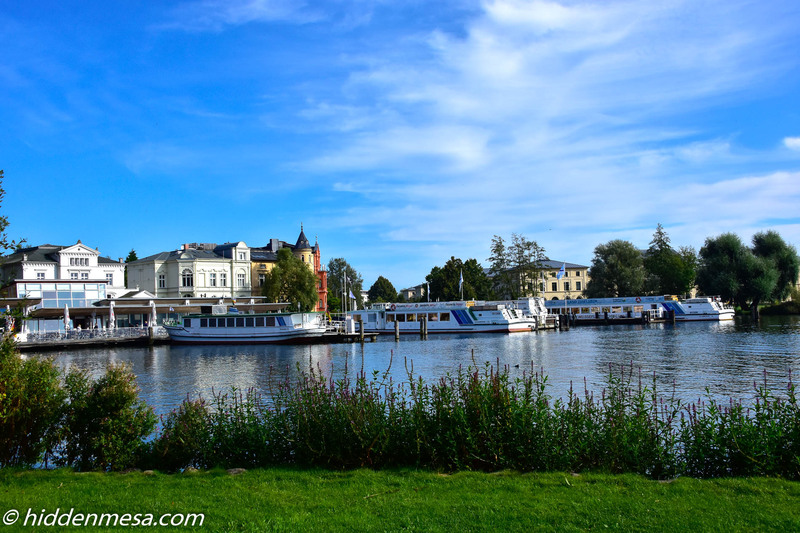 There are several tour boats to choose from if you want to spend time on Schwerin Lake. Photo by Bonnie Fink. The Gardens at Schwerin Palace. Photo by Bonnie Fink. Different Styles on the Roofline. 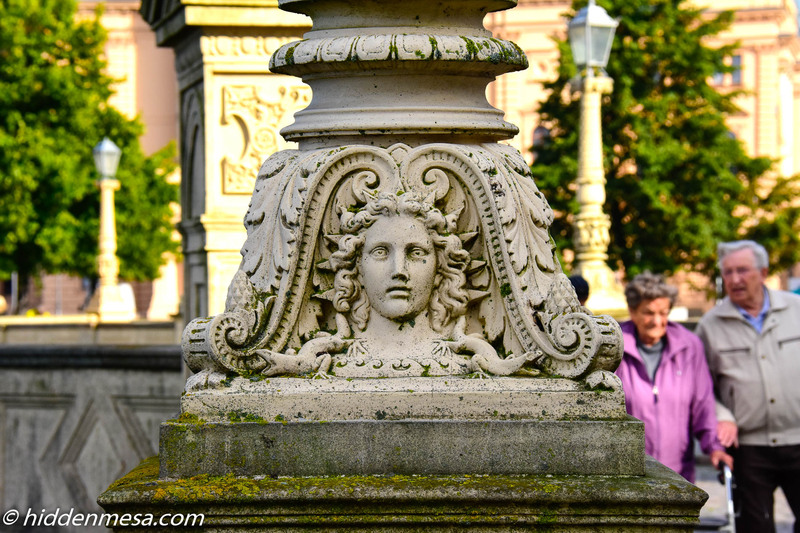 Different styles on the roof line at Schwerin Palace. Photo by Bonnie Fink. 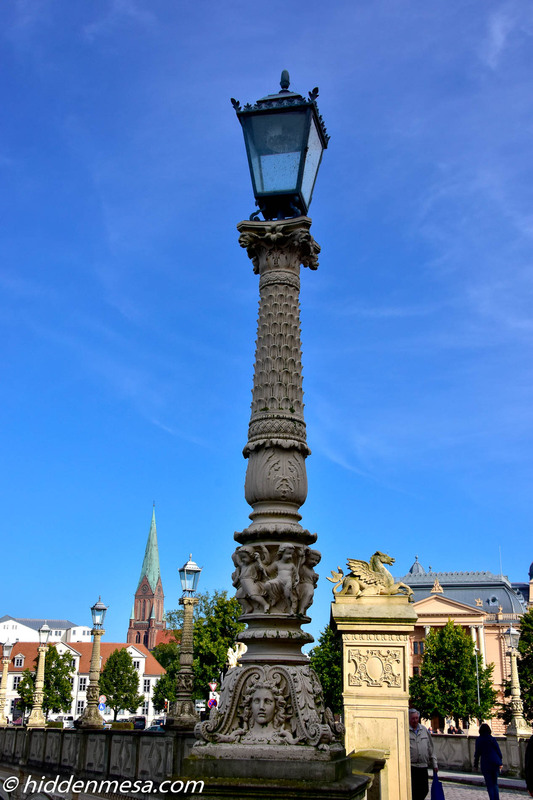 Even the lamp posts have intricate details at Schwerin Palace. Photo by Bonnie Fink. Statue of Obotrite Prince Niklot who died in 1160. Photo by Bonnie Fink. 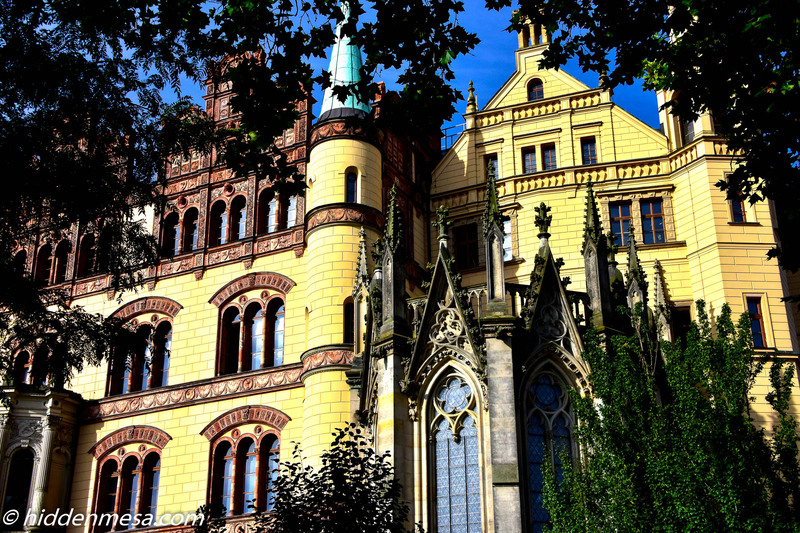 The ghost of Schwerin Castle, named Petermannchen is said to be no more than four feet high. 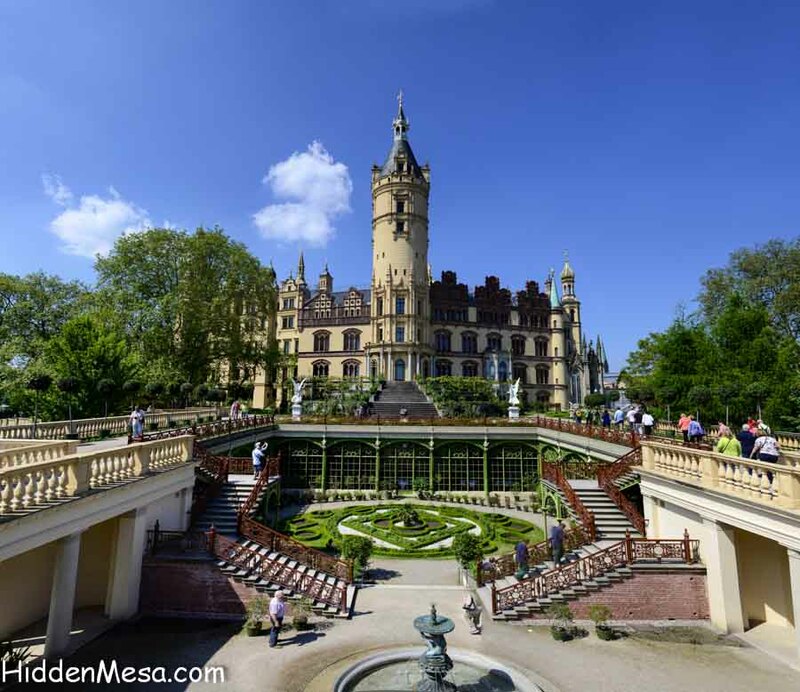 Schwerin Castle and garden grounds. Another view of Schwerin Castle.